For over 30 years I have had the opportunity to nourish thousands of people. The ingredients have evolved...rather dramatically! I started life consuming a very Standard American Diet (SAD). Fortunately, a deep quest for the truth and an innate curiosity kept me tasting and experimenting. My passion for creating exquisitely nourishing foods has not changed. If anything, as of late, it has deepened due to my son, Loghan Call realizing his culinary wizardry. Please check out Planted Cuisine for even more inspiration to embody high vibrational health through your food choices. My creations range from simple to sumptuous, using every color in the rainbow...only the freshest organic ingredients and as local as possible. My favorite ingredient is flowers. I do believe the wise saying, "you are what you eat." Reason enough for me to choose the highest vibrational, freshest and most beautiful foods. I deeply appreciate sharing what I have learned from countless incredible chefs and teachers. Starting early on a macrobiotic path I was blessed to have many Japanese chefs as teachers. Their passion for approaching each plate as a blank canvas poised for expression deeply inspired and nourished the artist in me. Over 30 years of working in almost every role from sous chef to head chef, restaurant manager, caterer, baker, nutritionist and teacher as offered me great insights in to the power of our food choices. It is sad that we have been so misled about nutrition and that food has been overlooked as the medicine it is. My early work focused on cancer patients. People who would turn to us as a last attempt to save their life....and it worked, over and over. While living on the west coast I have had the opportunity to work closely with people suffering from chronic pain. Again, often told there was no hope, I witnessed the transformation that changing ones choices makes. What crosses the threshold of our lips becomes a part of who we are, for better, or worse. Make every choice make a difference for your health and the health of our economy and environment. Please support your local farmers and farmer's markets. I offer personal and group cooking classes and some catering. Planted Cuisine offers even more opportunities for pop-up dinners and plant centered cuisine experiences. 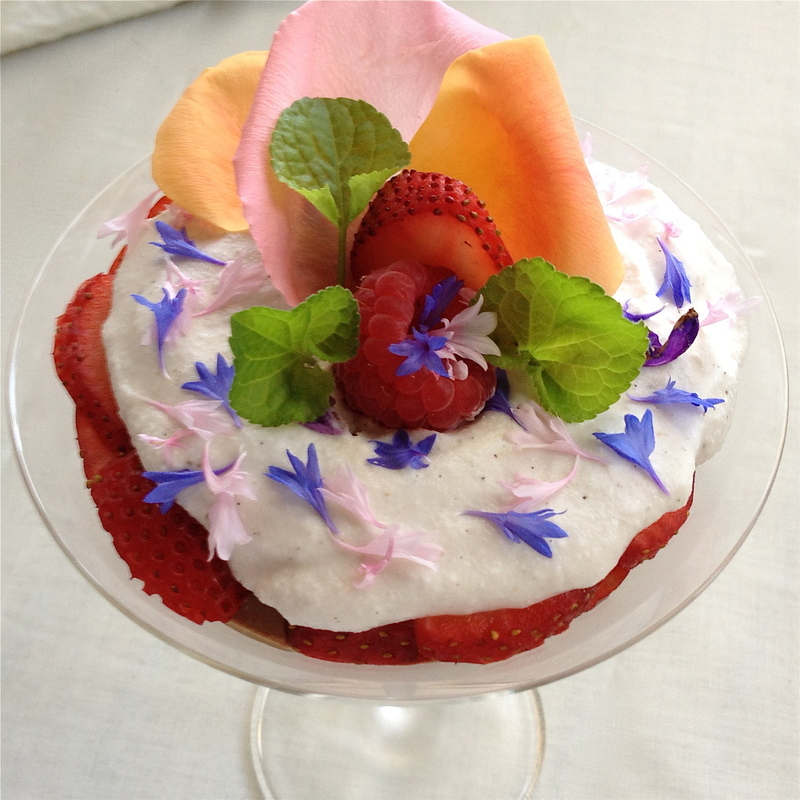 If you'd like to add edible flowers to your garden, or restaurant grounds I'd be elated to consult on those additions.